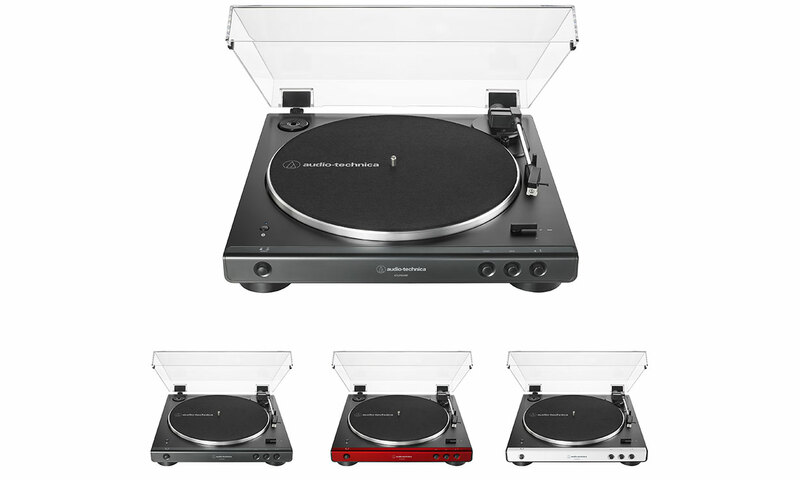 Audio-Technica make some of the most affordable turntables for serious music fans, and with UK vinyl sales growing for the eleventh consecutive year in 2018 according to the BPI, it’s updated and expanded its entry-level ‘LP60’ range. Meanwhile, nearer the top of the scale, Cambridge Audio has expanded the vinyl frontier with its new audiophile turntable, one of the first high-end record players to support the new higher quality Bluetooth tech, AptX HD. With interest in high-resolution audio growing (audio higher than CD quality), the upgraded Bluetooth format has been developed in response to provide exceptional quality audio through the convenience of Bluetooth. 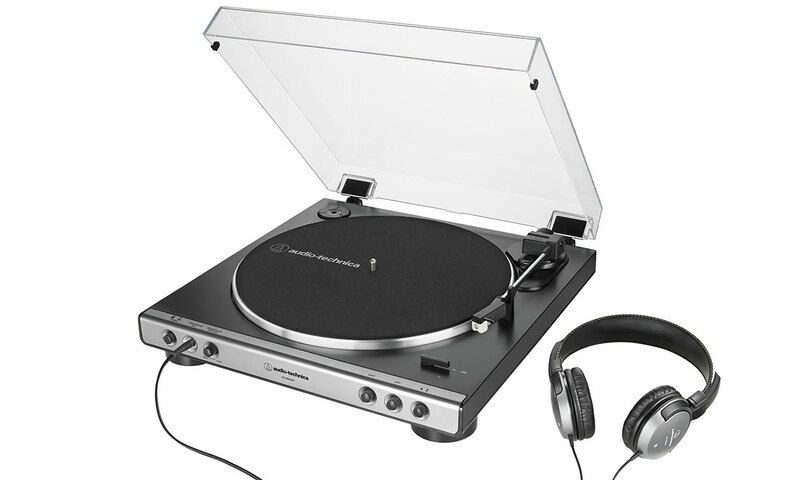 Find out more about these new Audio-Technica and Cambridge Audio turntables below. 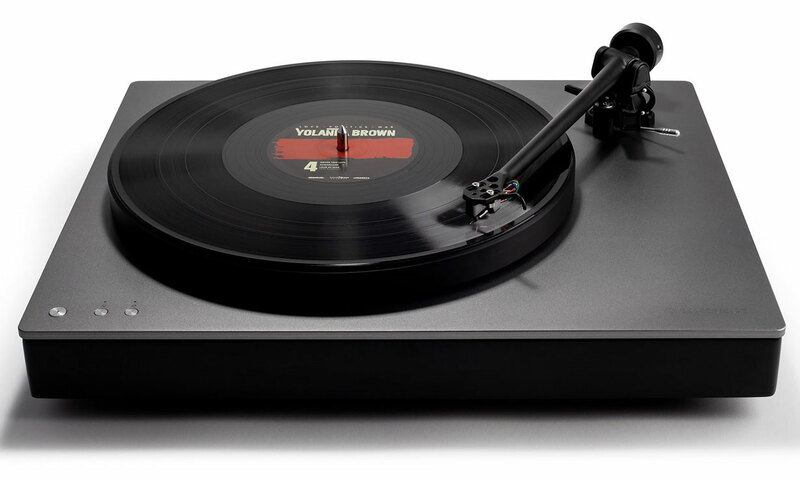 Best Buy record players and turntables – skip straight to the top models we recommend from budget to premium. This version of the LP60 has Bluetooth built in, allowing you to wirelessly connect it directly to Bluetooth wireless speakers and other sound systems with Bluetooth. It even supports the AptX HD codec like the much more expensive Cambridge Audio turntable below. Other Bluetooth turntables we’ve reviewed include the Bush TT1608 Turntable with Bluetooth, Teac TN-400BT and Bush Classic Retro Turntable. Audio-Technica is one of a few turntable manufacturers (alongside Sony) to also make headphones, and it’s making the most of it with this version of the LP60. It has a built-in headphone amplifier and 3.5mm headphones socket, so you have the option to listen to your turntable in private. The turntable comes with 250AV headphones, so you don’t need to worry about tracking down a suitable wired pair. These headphones feature a lightweight build and earpads designed to block out surrounding noise. We haven’t tested many turntables with wired headphone functionality, so have a look at our Audio-Technica turntable reviews and Audio-Technica wired headphone reviews to see whether it’s a brand worth considering. Alternatively, you can use the Audio-Technica AT-LP60XBT above to connect to wireless Bluetooth headphones. While TV picture quality seems to endlessly revolutionise with 8k TVs now the next big thing, audio quality hasn’t really seen a revolutionary improvement since the 1980s with the advent of the CD player. Formats like MP3s and most music streaming has typically had lower sound quality, but this is now changing with the introduction of hi-res audio. Hi-res audio is defined simply as ‘higher than CD quality sound’, which has been the gold standard thus far. However, most hi-res audio products so far have been wired, and there has been a push to develop more convenient wireless technologies. So bring on AptX HD Bluetooth, which can transmit 24-bit high-quality audio (CD is 16-bit). It’s not quite the same as hi-res audio (since Bluetooth uses compression), but it’s still a big jump in quality and much more handy to use. And Cambridge Audio’s new high-end Alva TT turntable looks well placed to take advantage of it. 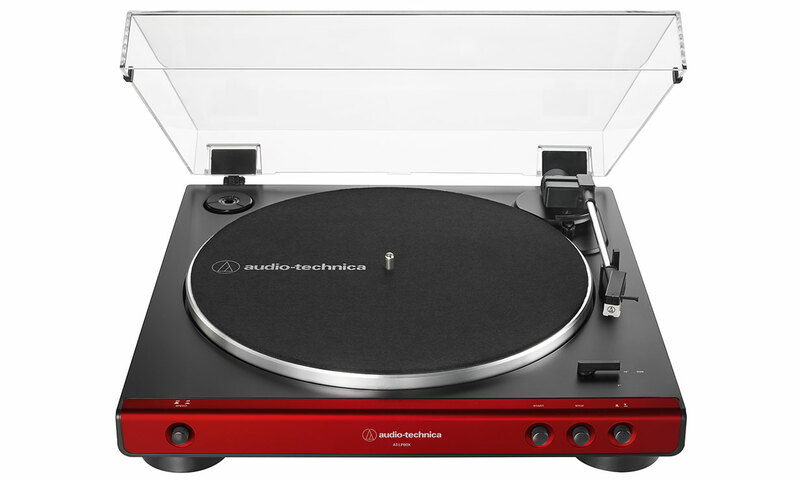 Unlike most audiophile turntables, Bluetooth support means you can easily connect this record player to compatible amplifiers, wireless speakers and wireless headphones, without the need for lots of messy cabling. Like many turntables in this price range, it features a large base to minimise unwanted vibrations running through it and affecting your music. If you’re looking for a premium turntable with Bluetooth, we’ve reviewed the Yamaha MusicCast Vinyl 500 (TT-N503), Elipson Omega 100 RIAA BT and ProJect Juke Box E.
Replacing the popular Audio-Technica AT-LP60USB turntable, the updated AT-LP60XUSB is aimed at those wanting to convert their vinyl collections to digital audio files (such as MP3s) on their computer, either as a backup or to play on other devices such as smartphones. To do this, it features a USB socket, which you can use to connect it to your computer or laptop, and it uses the popular free Audacity recording software to do the conversion – see our expert guide for more information. Could this also be a good time to pick up the previous version of this turntable cheaply? 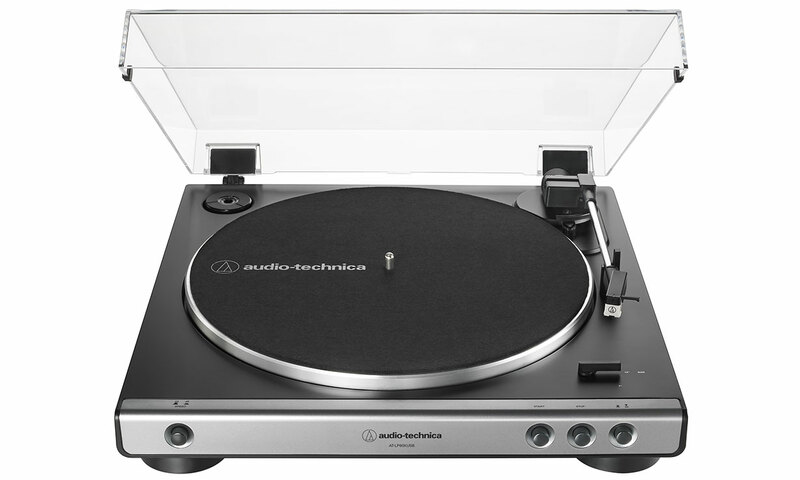 See how this turntable’s predecessor performed in our comprehensive Audio-Technica AT-LP60USB review. Many budget turntables can be of questionable quality, but Audio-Technica has a strong reputation behind it. Could this basic turntable be the perfect introductory model for those new or newly returning to vinyl? It doesn’t feature any additional features, but like all turntables in the new LP60 range, it can play both 33rom (LP) and 45pm (singles) records, and 12-inch records. It also has a built-in preamp with switchable phono/line output, which means you can directly connect to (and easily choose between) connecting to your hi-fi amplifier or active-powered speakers (which have amplifiers built-in). Looking for a cheap turntable right now? 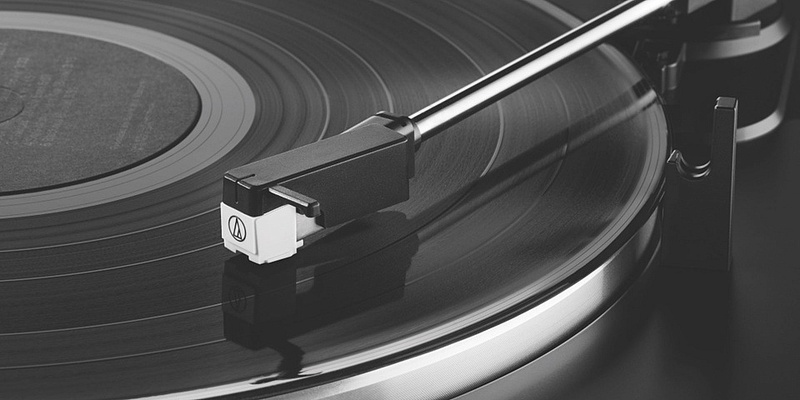 See the top recommendations from our experts in our guide to the top four cheap record players and turntables for 2019. Or if you want to browse the full market, have a look at our full suite of record player and turntable reviews and headphone reviews.